Our website features the best Palm Harbor real estate search for homes, condos, land and foreclosure properties available. It is the only site you will ever need! It is easy-to-use and updated by the official Realtor®’s database every 15 minutes. 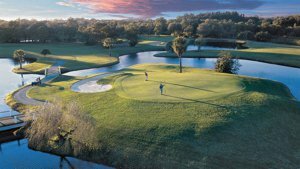 Palm harbor is located in North Pinellas County and is home to the nationally famous Innisbrook Resort and Golf Club where the pros play. It has a small historic downtown area and great proximity to the beautiful gulf beaches. Palm Harbor is close to many attractions yet maintains a quaint and charming atmosphere. With Lake Tarpon, and the Gulf of Mexico, The fishing is great. Palm Harbor is unique in that its elevation averages 25 feet, with some areas as high as 80 feet. All areas of Palm Harbor are easily accessible to US Hwy 19, which is major commerce hub for Palm Harbor and the surrounding communities. Village Of Somerset Woods SubDv. Waterford Crossing Ph I SubDv.